Often individuals who intend on taking the taxi test ask the question ‘Do I need taxi driving lessons?’ After all, I’m an experienced driver of many years. The simple answer is most probably yes. From years of driving you will have gained valuable experience, but along the way you’ll have almost certainly gained bad habits too. During your taxi practical driving test, the examiner will be aware that you are an experienced driver and will expect you to drive like one and not a learner on their first driving test. 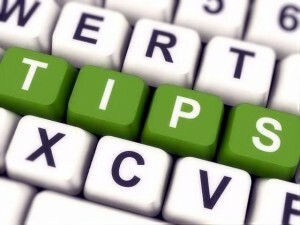 Many driving schools who conduct learner driving lessons offer taxi lessons too. Taxi driving lessons wont take you back to the basics, they’re based more on refresher lessons where you’ll build upon the knowledge and skills you already have. Essentially fine tuning your driving skills and eliminating any bad habits you may have acquired. The amount of hours required for you to reach taxi test standard will of course be determined on your current state of driving. For most though, if you think along the lines of two to three lessons, consisting of two hours per lesson. The best way to approach your taxi test is to re-learn test standard driving and as you learn, commit yourself to driving at this standard continually. Then as your driving skills improve, take a taxi driving lesson to see exactly where you are in terms of passing the test. To get you started, lets take a look at the most frequent areas that require re-training for the taxi test, along with tips on how to avoid making these very mistakes during your test. Junctions may include left and right turns, T-junctions, crossroads and roundabouts. This is the most common test failure on taxi driving tests due to a lack of, or inappropriate observation. Experienced drivers tend to approach junctions much faster than those wilt less experience. This can result in a lack of observation. Before taking taxi driving lessons, practice approaching junctions slower than usual to ensure that you take effective all-round observation before committing yourself to the manoeuvre. After years of driving, many drivers will accumulate bad habits. A very common bad habit is failing to use your vehicles mirrors as effectively as you once did. Before taking taxi driving lessons, and especially before taking the taxi test, practice the tried and tested mirror, signal manoeuvre (MSM) routine. Ensure you include this routine when ever you drive so that it once again becomes an automatic procedure. It’s not just about remembering to look into the mirrors, it’s also about correct timing and specific mirrors at particular situations. Another bad habit that often creeps into an experienced drivers repertoire is indicating, or rather badly timed indicating or failing to indicate at all. Failing to signal just once during the taxi driving test can lead to failure. There are compulsory signals and signals that while not compulsory, may be of benefit to other road users due to a particular situation. Bad road positioning can involve many scenarios, typical areas of bad habits here can involve straddling lanes. For example you are approaching a junction that has multiple lanes on the approach, ensure you stay within your lane. As an experienced driver, your control of the vehicle will be good. Taxi driving tests are failed during a manoeuvre typically due to inappropriate or a lack of observation. Demonstrate a manoeuvre with confidence, but take your time. Constantly keep looking around for other road users and pedestrians and when anybody is close, stop the vehicle and continue when clear. The single most issue that examiners see here is inappropriate observation. Always look in the direction you intend on traveling before moving the vehicle and do not only rely on your mirrors for rear observation – you must physically look in the direction. 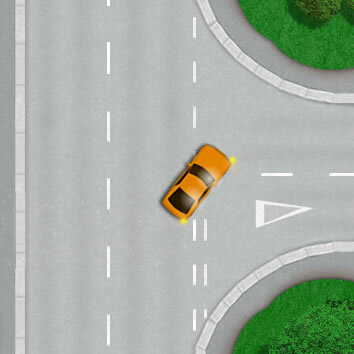 The learner tutorials for manoeuvres can be used on the taxi test, though as an experienced driver the examiner will expect you to complete them a little quicker than a learner. Do I Still Need Taxi Driving Lessons? If you have followed the advice on this section and have permanently implemented it into your driving, your chances of passing the test will improve. However, it can be difficult to judge how good your driving is and if it is of a sufficient standard to pass. Failing a taxi test may see you having to wait for another test several weeks if not months in some areas. Taking a taxi driving lesson will inform you of exactly where your current driving skills lie in terms of passing. Your instructor may inform you that your level of skill is sufficient or recommend another lesson or two. By following the tips within this section, you will improve your driving and therefore reduce the number of taxi driving lessons required. Where do I Find Taxi Driving Lessons?